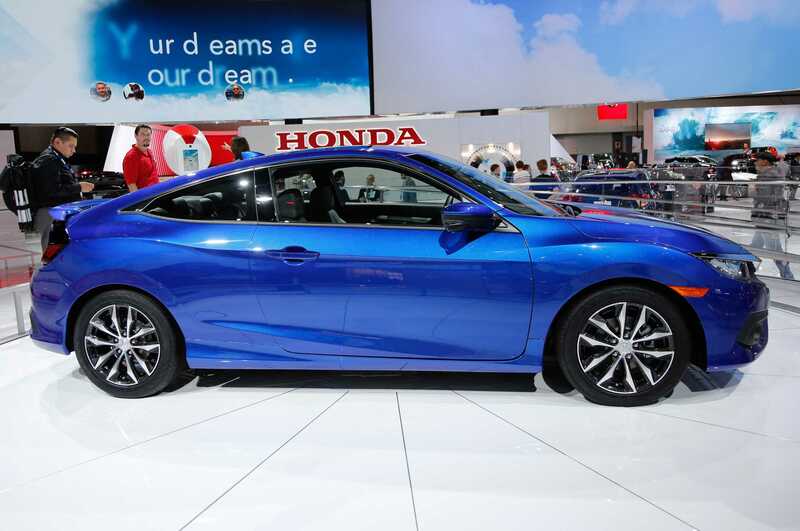 The 2016 Honda Civic Coupe finally hits dealership stores on March 15th. The wait has come to an end and the most favored commuter’s coupe of all time is quite affordable as it has always been while adopting a couple of changes to make the car look trendier. While there are plenty of options available in stores, buyers always prefer to go with a Honda Civic if all they need is to get to their office and back home. The brand is definitely not taking any big risks in changing the looks of the car. If it isn’t broken, don’t fix it is the policy Honda has been following with their new generation models for a long time now. 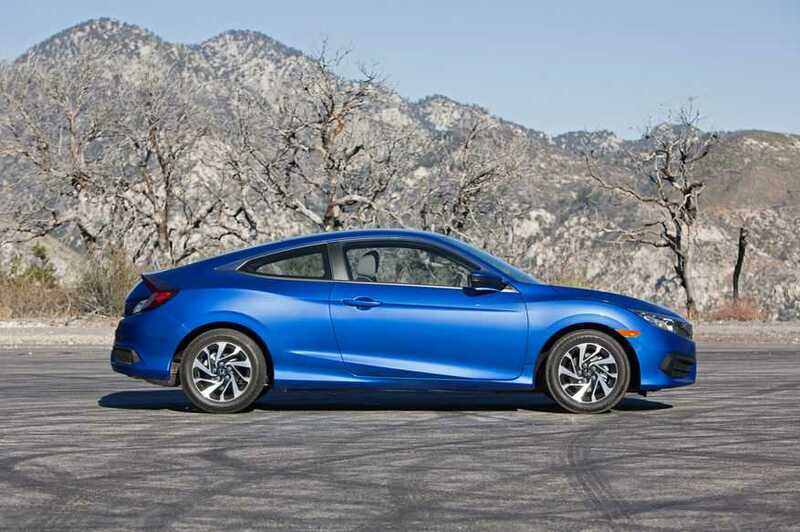 Pricing for the base model of the 2016 Honda Civic coupe has been announced. The model starts at $19,885 which is $760 more than the 2015 edition. But, with inflation and new features being added, it isn’t such a bad call to increase the pricing by a couple hundred dollars. LX is the base model in the Civic Coupe range. Standard features found in the car includes an automatic climate control, aluminum alloy wheels and a rearview camera to make parking easy. The base model is powered by a 2.0-liter inline four engine which renders 158 horsepower. It uses a six speed manual transmission system. If you are going to go with a CVT for the LX model, the pricing will be bit higher at $20,685. Next in the lineup is the LX-P model which adds more features for $21,685. It includes one touch power moonroof, push button start and smart entry. Other cars in the Honda Civic Coupe lineup are powered by a 1.5-liter turbocharged inline-four engine with a total of 174 horsepower. EX trimline is the top end variant right below the Touring model. The EX Civic has a 7-inch display with support for Apple Carplay and Android Auto besides dual zone automatic climate control and heated front seats. The pricing starts at $23,135. By paying $24,260, buyers can receive additional features including leather trimmed seats for extra comfort. The 2016 Honda Civic Coupe Touring is the most elite model the brand has to offer. Priced at $26,960, the model offers automatic low speed follow, lane keeping assist and adaptive cruise control. Honda will launch the hatchback, sedan and Type R variants of the Civic along with the coupe variant this month.